Purchasing used homeschooling books is a great way to make home education affordable. 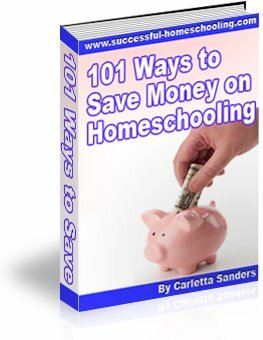 Here are some tips for buying used homeschool curriculum. Here are some tips for selling used homeschool textbooks. The following are my favorite places to find used homeschool books. Library Sales - Public libraries often have a small section of books for sale that can be used for homeschooling. On your next trip to the library, ask your librarian when they dispose of outdated magazines. My family has enjoyed the many children's magazines we've brought home from these giveaways. Half Price Books - I am usually able to find most of the readers and read alouds from my favorite literature-based programs in the children's section of Half Price Books. The education aisle of Half Price Books is a great place to find used homeschooling curriculum from popular publishers. In some areas, Half Price Books opens its warehouses to provide free books to teachers and home educators. You can also find materials at used book stores, garage sales and thrift stores. Paperback Swap - Paperback Swap allows you to get rid of old books in exchange for titles you desire. For every book you send, you are given a credit to receive one book. The only requirement is that you mail your books to those who request them. Just print the provided mailing wrapper, wrap the book, add postage and drop the book in the nearest mail receptacle. You are only required to pay postage on books you send. The website, BookMooch, operates in a similar fashion. Homeschool Support Groups - Some homeschool groups feature newsletters or e-mail loops that allow buying and selling used homeschooling books. Local support groups may also sponsor used book sales or book swaps for their members. There are many places to find used homeschool books online. Ebay was popular with homeschoolers until policy changes prevented the sale of most lesson plans, teacher's editions, solutions manuals and answer keys. It is important to be good stewards of our resources by spending our money wisely and saving money when we can. However, it is equally important that we financially support companies we believe in so they can remain in business. Here are some reasons to consider buying new curriculum when possible.